So i was in class today and my teacher was talking about Emission related things in the car. 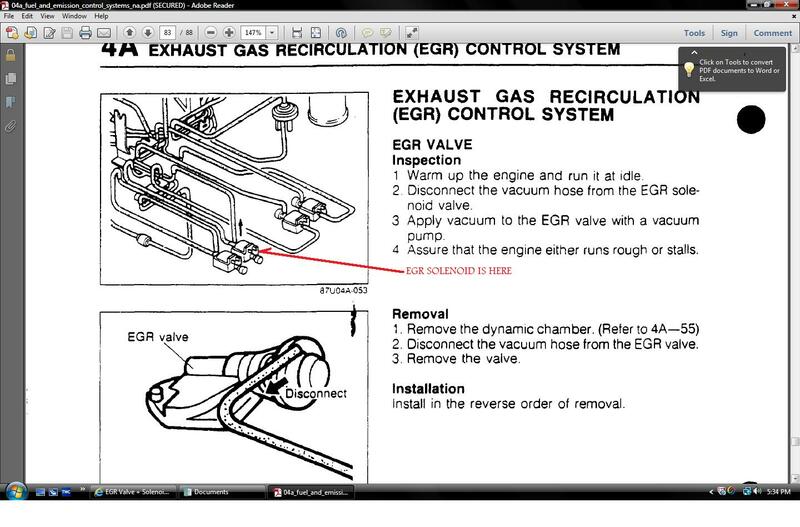 I want to test some of the Emissions stuff and i wanted to start the the EGR Valve and Solenoid. I wanna test and see if its working first of all. and I want to possible remove it. So i took a look into my engine bay and tried to look for it. I started looking from the air intake and followed some lines and i couldnt find it. Or at least if i found it i didnt even know. It doesnt look like anything i found in "All Data" at school. Maybe the computers wrong? But i can not find either. Can someone also show me a picture of it removed/blocked? So i know what to do? There are 4 or so solenoids all lined up in a row spanning about foot or so. This is on the driver's side of the engine. 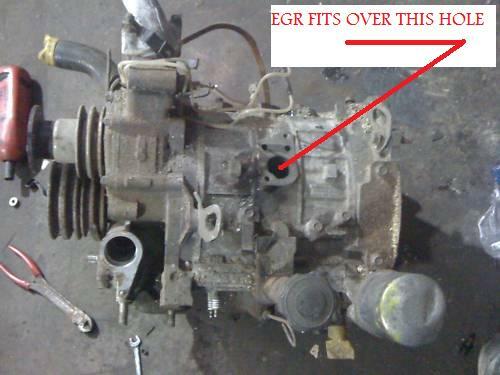 The solenoid that has an Orange sticker on it is the EGR solenoid. Should be the second from the left as the Blue solenoid (first position) is the Relief solenoid. Okay ill take a look there. Thanks. What about the Valve? valve is right on top of the center iron, under the intake manifold. It's really hard to see on a series four non turbo car. 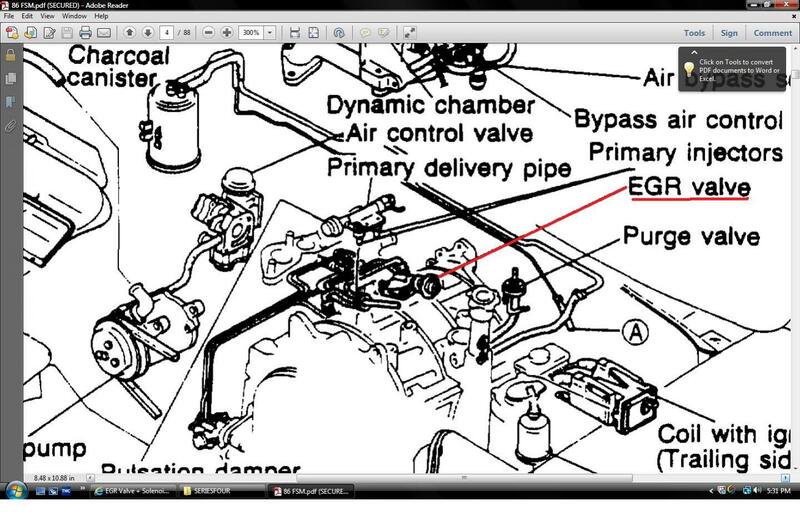 Like mentioned above, it's under the dynamic chamber on the intermediate housing (the housing that has the oil filler tubo on it, center housing). I forget the color of the solenoid at the moment. Yellow I THINK mabe. It's shown in the online FSM secton called FUEL AND EMISSIOINS. Air Supply Valve. S4 FSM 4B-66 Wish I knew how to paste pic from PDF of page. Last edited by HRnico; 03-28-15 at 11:38 PM.